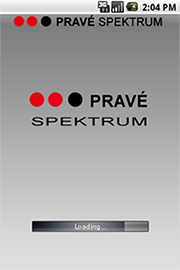 Application for Android OS - magazine reader of Slovak magazine "Pravé Spektrum". This simple client-server web service driven mobile application is used to browse articles by authors or by category and read them. Enjoy the speed of browsing through "Pravé Spektrum" without the need to fire up the web browser and have all the articles of your favorite magazine at hand. 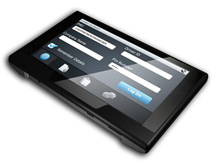 Bee Mobile developed for its client GPRS Systems mobile application for Windows CE OS. Its purpose is to track the position and monitor the status of a job assigned to a field service worker. Wameng Technology, Inc. – this USA based company asked us to cooperate with them on a creation of Windows Mobile based application – Mobile Directory. Wameng Technology, Inc. – asked us to cooperate with them on a project which involved a creation of a GUI control on .NET Compact Framework platform. The idea of the control was to show a set of icons laid out in a grid where each icon would represent a certain functionality for their application. Red Bit Development - http://www.redbitdev.com/ - is a Canada based company owned by Mark Arteaga – well-known Microsoft technologies speaker, enthusiast and MVP. 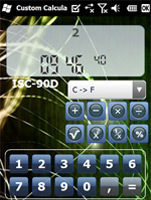 We cooperated with Mark Arteaga on creation of this Windows Mobile port of an iPhone application.